We’ve written about the joys of decorating your apartment in the past; it’s a topic that is interesting to a lot of people because pretty much everyone can identify with the need to make our living spaces more enjoyable places to live. After all, without decorations, our apartments are just walls, doors, and windows. In other words, they’re boxes. The good news is that if you’re looking for apartments for rent in Littleton that give you a leg up on the decorating process then look no further than Summit Riverside Apartments. We are happy to offer a number of 1-bedroom apartments, 2-bedroom apartments, and apartments with loft spaces in order for our tenants to have a living space that suits their specific needs. Take a look at our photo tour and you’ll see that our apartments have good bones, allowing you to make them into a space that is all your own. If you need a bit of help in figuring out how to lay things out in your apartment for massive success then we can help with that as well. As a matter of fact, that’s the topic of today’s post! 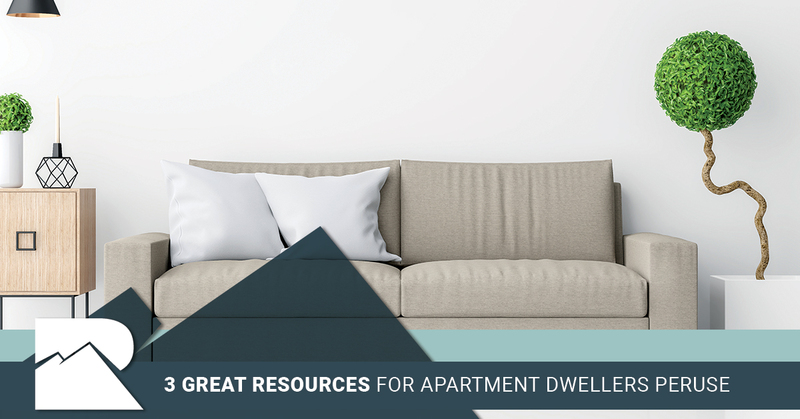 If you’ve been considering your options for when it comes to apartment decor, this post is for you. Keep reading to learn more. According to their website, “Apartment Therapy is a home and decor site, designed to inspire anyone to live a more beautiful and happy life at home.” Their website is full of everything from house tours to DIY guides to cleaning tips and more. When you’re looking for inspiration, Apartment Therapy offers it in spades. Sure, there’s bound to be a few suggestions that just don’t really make sense to you, but if you’re willing to dig around a bit we think you’ll find that there are plenty of articles that will inspire you to really make your living space your own. Many of their articles revolve around doing things on a budget and most are tailored towards apartment-friendly solutions. In short, if you’re in the market for a website that inspires you to make your own apartment a more fun place to live, look no further than Apartment Therapy. Known as the home of everyone’s favorite home decor and home improvement shows, HGTV is another great place to get some inspiration for how to freshen up your living space. With ideas for updating your living space on a budget, rearranging your belongings in different rooms to mix things up, and recommendations for how to store your things effectively (and beautifully), there’s a lot to love about their website. There’s also a lot of information to glean and whether you are seeking out entertaining tips, crafts to try, or just getting a few ideas for what colors will look good together in your luxury apartment, HGTV offers plenty of great suggestions. The website of sisters Elsie Larson and Emma Chapman, A Beautiful Mess is their space for sharing “home decor projects, recipes, and crafts, natural beauty, and lots of random bits of our life in the Midwest.” They offer decor tips for every room including living rooms, small spaces, dining rooms, kitchens, offices, bedrooms, bathrooms, and more. In other words, no matter which floor plan you live in or what you hope to get out of your apartment, you can find tips here! There’s also a section of their website that’s dedicated to crafts, ensuring that you always have something new, unique, and (best of all) handmade to adorn your living space. It’s a win/win and you’re sure to learn something new on each visit to A Beautiful Mess. Are you in need of a living space that you can make your own? At Summit Riverside Apartments we are tucked into a great neighborhood with great amenities and we think you’ll absolutely love living here as you decorate your living space in such a way that you feel great about it. With a number of floor plans to choose from, you’re sure to find something that works well for you. Schedule a tour today and see for yourself just how great it could be to live here. ©2018 Summit Riverside Apartments - Do not copy. All rights reserved.